Image by CogDogBlog, FlickrMany dog owners spend more time away from their dog than they'd like. They might even feel guilty for leaving their dog at home. Worse, the dog might have separation anxiety, and barely be able to handle being alone. The right pet day care can help solve these problems, to leave your dog a little happier. It's always a good idea to ask your local veterinarian for recommendations, because he's probably spoken to pet owners about local pet day care's. He's probably heard both good and bad experiences, so he's likely to know some of the best options in your area. Before you sign your dog up for a facility, be sure to take a good look at it. Ask for a tour so you can make sure it's clean and well-ventilated. 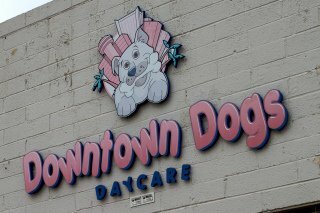 If it has a mild dog smell, that's okay, but avoid the day care if you can smell urine or feces, or if the place smells strongly of bleach or other chemicals. This likely means that they clean with it, however the chemicals can damage your dog's respiratory system. They should also provide separate rest and play areas, and clean water for both kennel and play area. Ideally, they'll also offer regular potty walks so your dog won't be aching to go to the bathroom the entire time you're gone. Also, regular potty walks will ensure that your dog stays house-trained. The best option available will have separate play areas and play times for large and small dogs. This is very important, because it prevents dangers like predatory drift (the tendency of a large dog to attack a small dog) or accidental injury caused by a large dog trampling or trying to play with a small dog. Play groups should be comprised of dogs that are compatible with each other, and play areas should be equipped with fail-safe's like citronella spray and a hose to break dogs up if they start to fight. Image by Mikkel Zibrandtsen, FlickrThe pet day care you choose should only accept dogs that have been vaccinated, and go through a thorough screening process to make sure that every dog is safe. This should start with a detailed application that includes questions about how your dog reacts to other dogs, puppies, and strangers. They should also exclude dogs that haven't been spayed or neutered to prevent testosterone-related aggression and unwanted pregnancy. 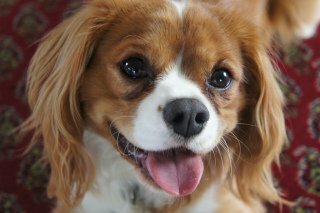 The ideal staff will be affectionate to your dog and well-trained in case anything goes wrong. They must have a working knowledge of dog behavior and body language, be able to recognize anxiety, and be able to distinguish play from aggression. They should also be aware that rewarding good behavior is more effective than punishing bad behavior, and be able to recognize when a dog is hurt or sick. They should have an emergency plan and first-aid training in case anything goes wrong. Don't be afraid to interview the staff to make sure they're a good fit. With the right pet day care, your dog will be happy and entertained in his hours away from you. Be sure to choose the day care that you believe will be the best fit for your dog.